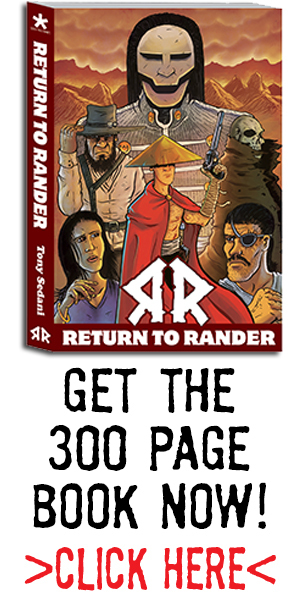 Another week gone by, another week of doing post production on Return to Rander. Right now I am currently doing grayscale tones on the final chapter of the story. Here is a preview at one of the pages in production. No letters, but looks like our Lone Savior is heading somewhere!